Elated, emotional and tired…just some of what I’m feeling right now. The annual conference at work has just finished and I have worked my socks off. If you don’t already know, I edit a farming website, I get to write about what I love best, agriculture. Two very long days have followed weeks of preparation and we bloody did it. All the stories were published, we smashed the stats and broke our own news. I even used #winning in a tweet, much to the annoyance of a colleague who shall remain nameless! But I feel a little bit sad. I am very proud of the organisation I work for and conference is the pinnacle of the year. There’s a buzz, an excitement that fills the city of Birmingham for two days when hundreds of tweed-clad farmers descend upon the capital of the Midlands. Politicians say a lot but very little all at the same time, the supermarkets make big commitments, there’s science, social media, the environment and economics all on the agenda. It’s busy and alive with talk of the future of this great industry. Afterwards I get that gloomy feeling that it’s all over for another year. A bit like how I feel at the end of Christmas day. I’m sure it won’t last long, the to do list is much smaller now and I have a house move to occupy my thoughts over the next few days. But still, it was a fantastic conference. There was an illustrator at the conference, the rather wonderful Clym. His clients include the likes of Nicole Farhi, Paul Smith and Hugo Boss. 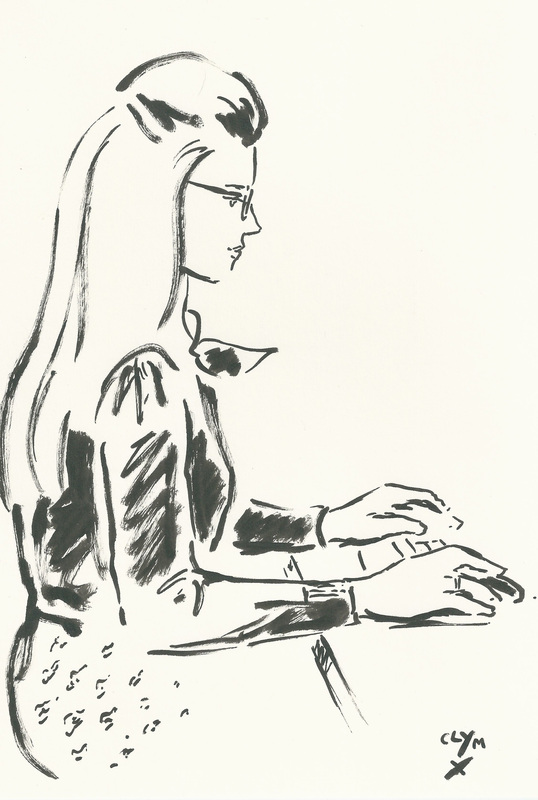 He very kindly drew me while I was in a flurry of website madness. Check out his website because he draws like a ninja!